In more than a decade working various projects at the Nashville International Airport (BNA), Garver has routinely partnered with smaller companies to develop and deliver successful projects. 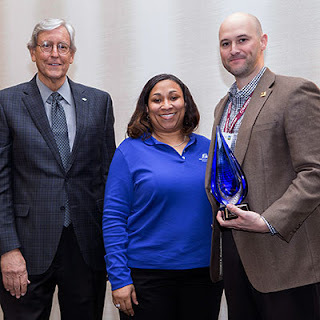 This commitment recently helped Garver earn the Large Business of the Year award from the Metropolitan Nashville Authority’s Business Diversity Department, given to the company that best works with small businesses owned by women and minorities. 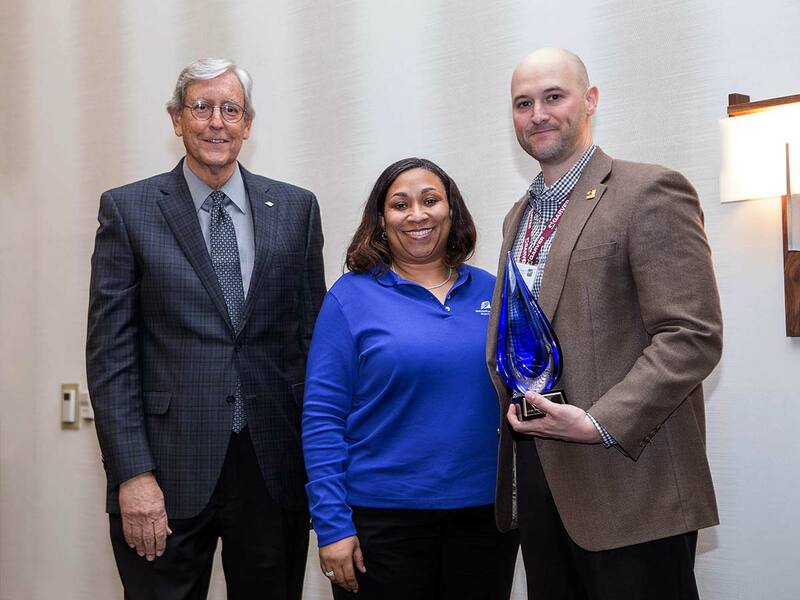 Ryan Sisemore, director of Garver Aviation's East Region accepted the award earlier this month from Rob Wigington, president and CEO of Metropolitan Nashville Airport Authority, and Davita Taylor, the airport's chief of staff. During a recent project at BNA, Garver had the opportunity to serve as a subconsultant to the smaller, Nashville-based construction firm, Blakely Construction Services on a design-build project. Blakely excelled in its leadership and innovation and paired this with Garver’s developed knowledge and familiarity with the airport. Garver has also worked with a number of other small businesses at BNA, assisting in geotechnical investigations, surveying, cost estimating, and design. That’s not the only award Garver’s Tennessee Aviation Team has won for its work at BNA. Garver’s role in a geothermal cooling system converted from an old rock quarry earned the Grand Award in the Water Services category during the ACEC of Tennessee’s Engineering Excellence Awards banquet last week. Garver designed a pipeline corridor and worked with the airport to schedule construction phasing in helping the airport turn the quarry into the largest geothermal cooling system of its kind in North America.